For those who have experienced its beauty, the Appalachian Trail is the last remnant of a bygone era in America’s history; an opportunity to step into the past, away from the world we have created and into the world created for us. The Trail was completed by volunteers in 1937 and was designated as the first National Scenic Trail in 1968. It is protected for more than 99% of its course by federal and state ownership and easements. The AT is maintained by 4,000 volunteers who contribute more than 184,000 hours of their time clearing windfall, defining the trail, and minimizing the impact of humans. The Trail extends over 2,174 miles through Maine, New Hampshire, Vermont, Massachusetts, Connecticut, New York, New Jersey, Pennsylvania, Maryland, West Virginia, Virginia, Tennessee, North Carolina and Georgia. 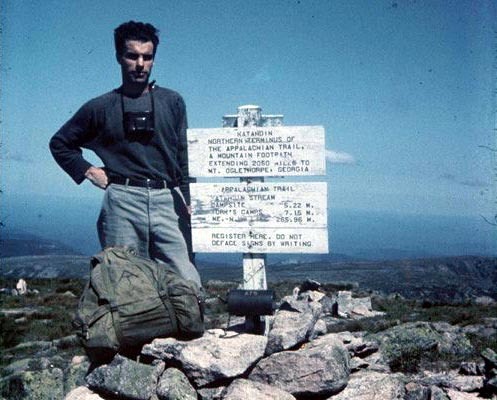 In 1948, war veteran Earl Shaffer was the first person to hike the length of the trail in one continuous stretch, making him the first AT “Thru-hiker.” Since then, thousands have attempted to literally follow in his footsteps. Mainstream media about the trail includes Bill Bryson’s account of his attempted thru-hike – A Walk in the Woods, and in 1999, famed American dancer Jacques d’Amboise completed a well publicized southbound thru-hike.